Design beautiful emails for business or personal use. 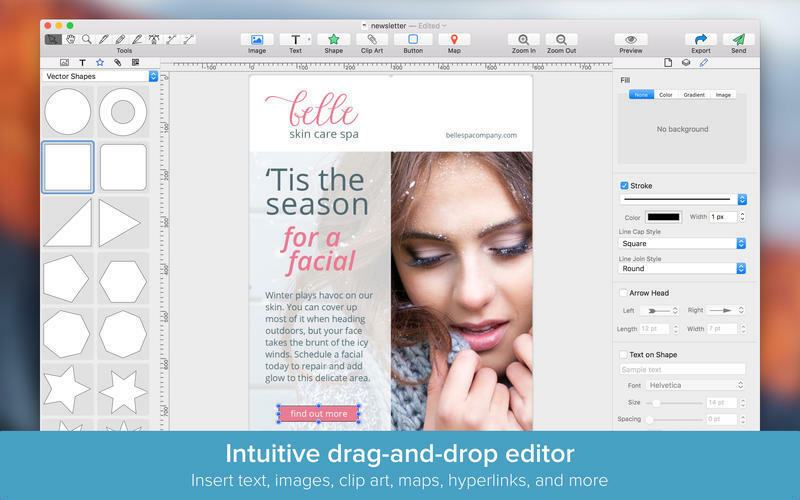 Is there a better alternative to Email Designer Pro? 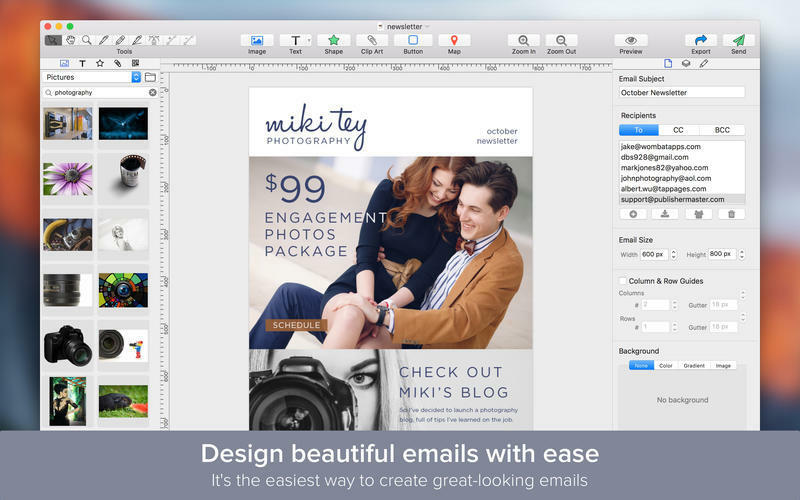 Is Email Designer Pro really the best app in Email category? Will Email Designer Pro work good on macOS 10.13.4? 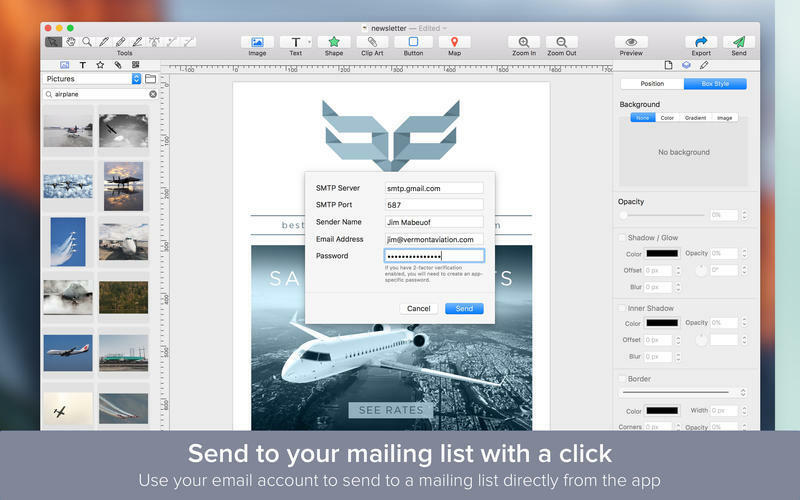 Email Designer Pro is the easiest way to design beautiful emails for business or personal use. 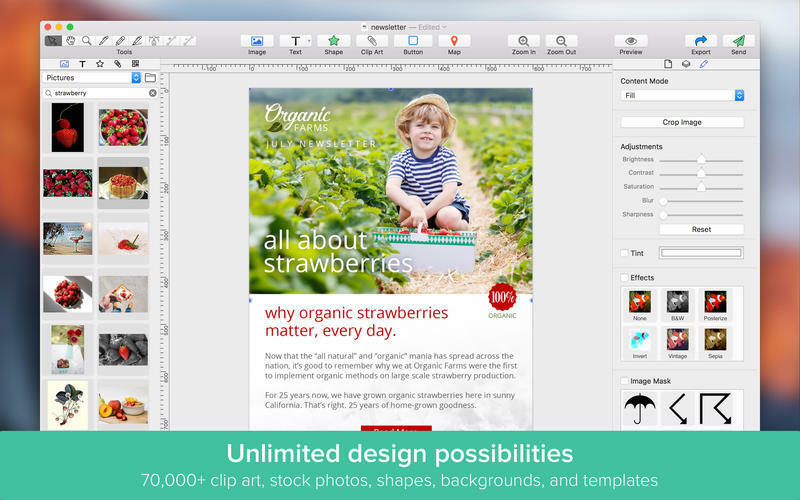 Simply drag and drop images, text, buttons, clip art, shapes, and even maps onto an email canvas, then send it to your mailing list with a click. Design amazing emails for your business, school, church, family, or other organization. Make a vivid impression. Impress your customers with beautifully styled newsletters. Emails have been tested on all of the major mail clients and render perfectly and consistently. Use your own email account to send your email newsletters to a mailing list directly from the app. Email links now work in all tested clients and browsers. Email Designer Pro needs a rating. Be the first to rate this app and get the discussion started! Design beautiful emails with a simple drag-and-drop editor. Send emails from your email account via SMTP. 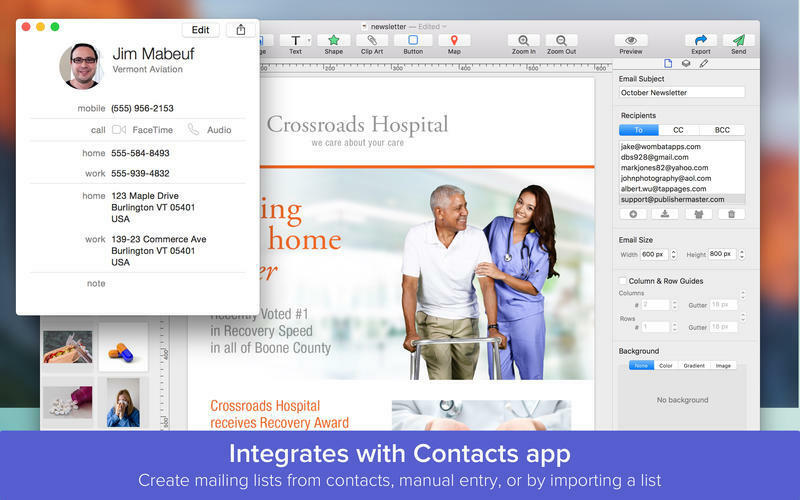 Create mailing lists by importing contacts or via a text file. Export your emails as an HTML file and image. Dozens of professionally designed templates. 70,000+ high-quality, royalty-free clip art and stock photo images, free for personal or business use. 100+ background textures, art frames, and image masks. Insert images, text, vector and raster shapes, clip art, and QR/barcodes. Import images directly from iPhoto and Photos apps. Choose from a dozen image filters (Vintage, Sketch, Comic, Sepia, and more). Adjust image levels, crop, tint, and apply masks. Add a Google map with any address or landmark, along with a place marker. Insert, style, and rotate 3D text (OS X Yosemite required). Vector-based drawing tools (bezier pen, pencil, line). Select from 26 vector shapes, or draw your own. Style elements with shadows, inner shadows, borders, and reflections. Fill elements with colors, radial and linear gradients, textures, frames, or images. Change the opacity of any element. Layout guides make arranging elements a snap. Export to PDF, PNG, JPEG, or TIFF formats. Share to Facebook, Twitter, Flickr, or save to Photos app.